Buy Gold Chains Starting At Rs. 14000 At Melorra. No Deal Code Needed to avail this offer. No minimum order amount required to get this offer. 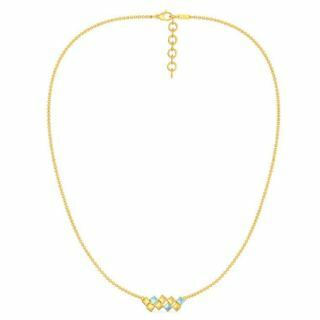 A user can buy 22kt Bevel Chain Gold Chain, Luna Lullaby Gold Chain, 18kt Yellow Gold Cable Chain Gold Chain, Cassatta Cream Gemstone Fashion chain, Vanilla Victories Gold Chain , 18kt Yellow Gold Box Chain Gold Chain and much more. This Offer is valid for the limited period so buy now.